Made with Love, Fished from a Jar. 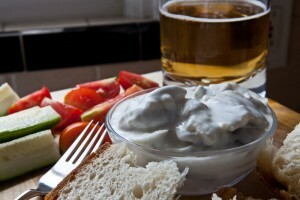 Like gefilte fish, creamed pickled herring is an acquired taste – gained through years of Jewish family culinary tradition, collective memories of dairy-based Saturday night suppers, lox-and-bagel brunches and those platters of deli delights and comfort foods served to break the fast after Yom Kippur. Creamed pickled herring. To some it’s decidedly a Jewish delicacy of Eastern European origin. To others, it’s something of an oddity fished from a jar. For Detroiters in particular, herring – be it pickled, creamed, marinated, dilled or chopped – is “just like Ma used to make,” only if it’s MaCohen’s brand. 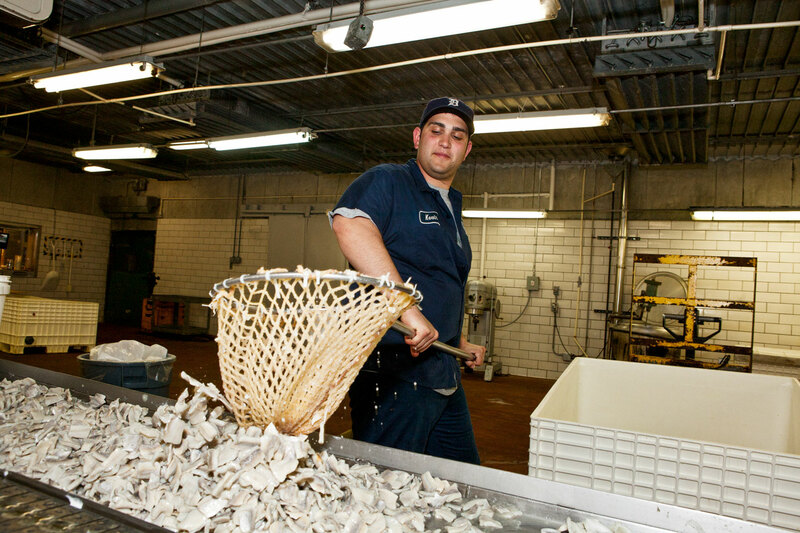 MaCohen’s – a division of Sea Fare Foods – has been in the herring business for four generations, more than 75 years. 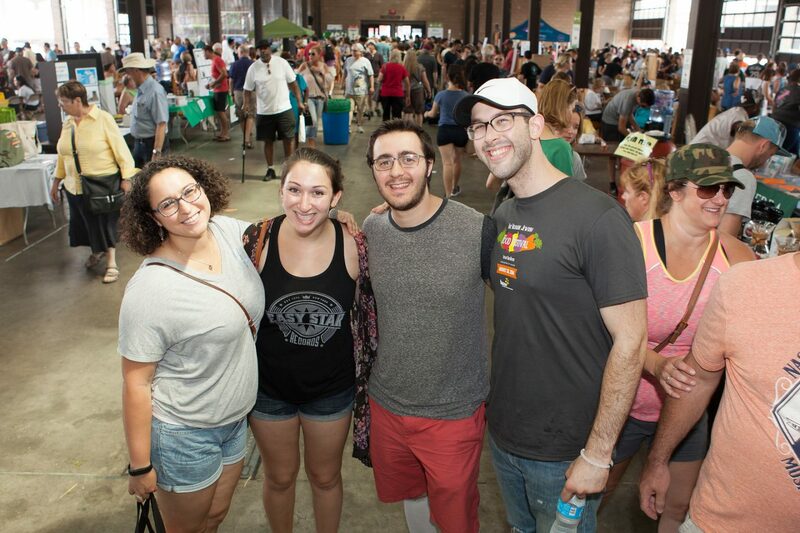 A family business, home-grown in Detroit, MaCohen’s stands today as the last kosher food purveyor downtown. Located in an unassuming processing plant on Brewster Street in the Detroit Eastern Market, the business is a rarity by any standard. According to statistics, more than 80 percent of businesses in the United States are family owned. Yet, precious few family enterprises succeed in transferring their business to the next generation. Nearly 70 percent of family companies will not see the second generation take the reins; 88 percent will fail taking the business to the third generation and 97 percent of the third generation will not succeed in passing the company to the fourth generation. MaCohen’s has beaten the odds. “Herring runs in our family,” says MaCohen’s proprietor, Philip Sack, “Our business was founded on the life experience and expertise of my grandfather, William, who passed his knowledge on to my father, Lincoln. 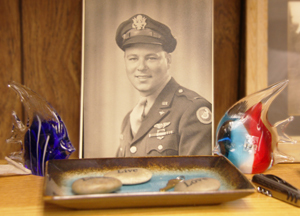 A graduate in food science from Michigan State University, Phil joined the business in 1976. Together he and his father took MaCohen’s herring production to a new level, from a regional product line to an international brand. Representing the fourth generation, Kevin, 24, entered the family business two years ago. Majoring in business at U of M, Kevin immediately set to work to make his own mark in the business. 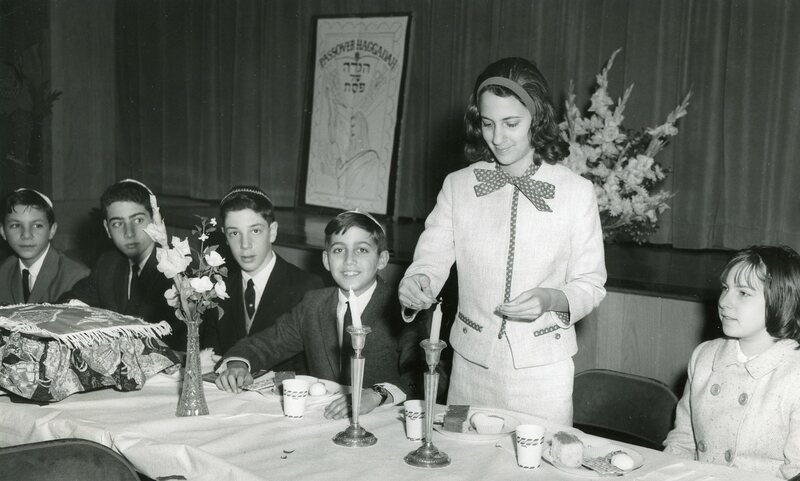 From the start, MaCohen’s also turned to the Orthodox Union for its superior kosher supervision. Those who look for the OU symbol can be sure that the brand has stayed true to its Jewish roots. In addition to the old favorites, the line includes specialties such as Schmaltz Herring and Matjes Herring “family-secret” in a blend of spices. Top-of-the-line nova lox has been a mainstay in the product line for the past five years. 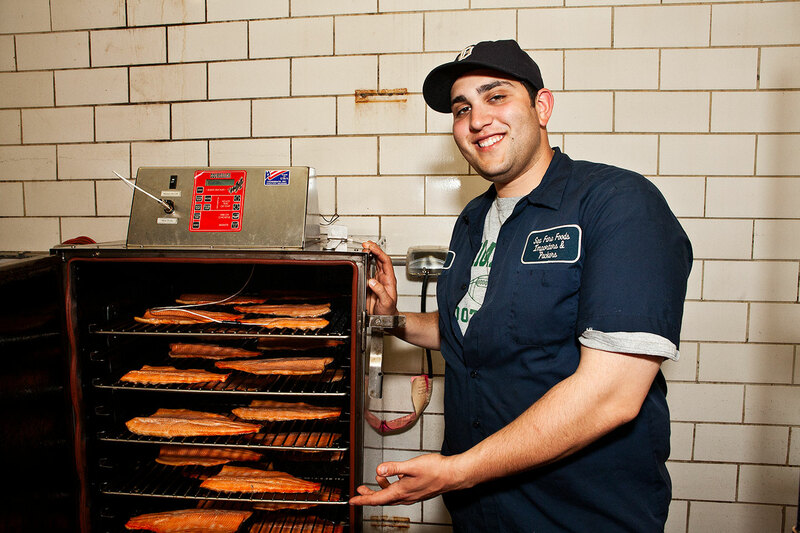 And now, thanks to Kevin’s interest and innovation, the business is also a smokin’ success – with Smoked Salmon, Whitefish, Trout and Sable recently added to round out the line. Beyond palette-pleasing, the MaCohen’s brand is award-winning. Recently it was judged #1 herring for taste in a panel of world-class chefs and recognized in a ceremony held at Carnegie Hall in New York. Drain liquid from jar of herring. 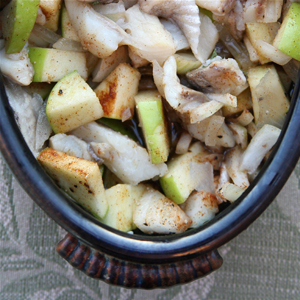 Coarse chop herring into small pieces. Add onion, apple, sugar, cinnamon and olive oil. Mix with fork (not food processor). Refrigerate 2 hours. Serve on romaine lettuce, toast or crackers.